We talked about the way dialogue and story elements were delivered in older generation-style games in the previous post which talks about player-paced plot-delivery and how clunky this mechanism is, especially when compared to the evolution of plot-delivery and character-paced delivery that we’ll discuss in this post. There are two means of delivering the dialogue gaming, using either the In-Game Engine (IGE) or using pre-rendered Full-Motion Video (FMVs). The IGE delivery uses the in-game gestures that the characters are normally seen using. They are made up of primitive gestures that when tied in sequence make up the acted emotions of the scene. These primitives are generally simple gestures like move over to point A, waving your hand to say “Hi”, putting your hand to your chin to show “I’m Thinking,” looking down to show “That’s Depressing/Disappointing.” For those who’ve played any MMORPG, these are simple emotes, showing a generalization of what emotion you’re trying to portray, but are blocky and look irregular because the motions aren’t fluid and are 1-dimensional. FMVs, on the other hand, are scenes crafted by hand or by motion-capture suits in order to have the choreography and the dynamics of the scene seem realistic, being lived out on screen, rather than actions being dictated to them “Now look angry. Now look frustrated. Now look like you’ve been inspired with an idea.” In PS1/N64 ear games, FMVs were choreographed by the 3d artists, meticulously moving the arms and legs to proper locations, keyframing the locations that characters needed to be at in order to make the scene seem believable and compelling. Nowadays there is a mixture of this 3d-Artist ballet intermingled with real actors providing motion-captured animations so that the timing, the delivery and the drama feel organic because of its timing, the subtle strenuousness of basic movement when walking across a room while monologuing. But these are the only the delivery systems for plot and dialogue, but the actual content being delivered can vary and impact how the player engages and experiences in the games themselves. Sometimes, there doesn’t need to be anything said to understand what’s going on. There are some developers with the philosophy of dialogue forcing an interpretation of a situation onto the player, and if you leave the thoughts of the player to their own assumptions, they will personalize and anthropomorphize the characters on their own and in their own coherent way. It can also change/take-away from the experience that you’d enjoy when playing the game because the player is left to their own assumptions. Just because there is no-dialogue means there isn’t an emotional aesthetic being conveyed. 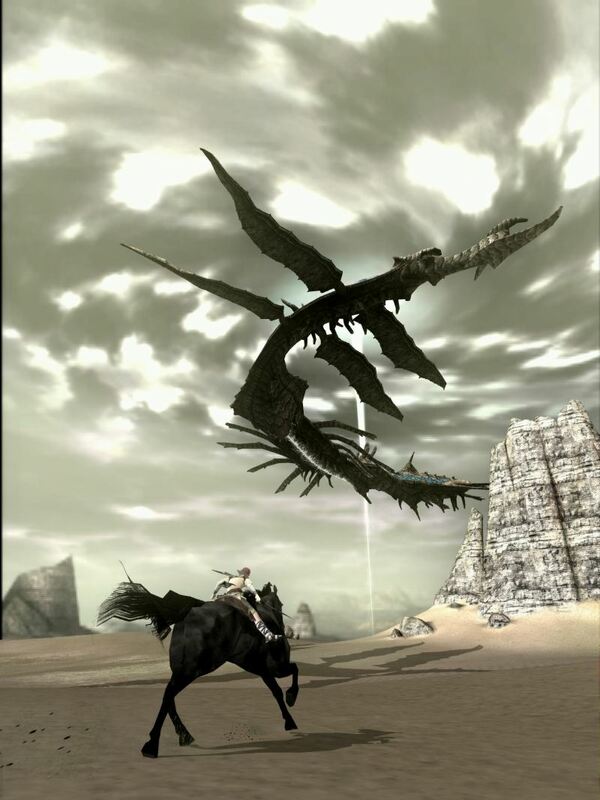 Other games like Shadow of the Colossus have the consistent tone of anxiety and melancholy while leaving the actions and motivations of the character up to the mind of the player. The only real plot you’re given is the idea of saving the character’s loved one from death and so you set out on a quest. No other real plot is given to the player via text until the very end of the game. Instead, the game relies on its somewhat believable primitive motions that get used throughout many of the cutscenes and the use of cinematographic techniques in order to elicit the emotions of fear, drama, a sense of scale, and any other emotion you might have throughout the game. Cinematographic and Sound Design techniques are used in both the Shadow of the Colossus/ICO series and Legend of Zelda to effectively elicit emotions without the use of dialogue. Panning the Camera in uneasy ways to simulate the Point-Of-View of the protagonist or the antagonist, a wide-angle shot to show a sense of scale to the enemies and structures that the player will be conquering in the coming scenes, a quiet anxiety building into a panicked ensemble of running around and climbing onto things before a triumphant moment of being able to damage the big bad giant. When you amalgamate all of these elements, it instills its own emotional affection onto the player, and when played with the proper attentiveness, the player propagates these emotions into creating their own sense of motivation, excitement, fear. They create their own idea of what stakes are on the line. But because the stakes on the line aren’t always being told to us, especially with these scenes having no-dialogue, the stakes can be ambiguous to the player which leaves some of the plot points being ambiguous to the player. Shadow of the Colossus uses this to its advantage, by creating a game where the basic tropes of the protagonist/story are there, being a basic “kill big things, save my wife” storyline but later throws the real story at the player which makes you question the role of your actions and how right they were, while being well-intentioned. Legend of Zelda, on the other hand, gives you the general story of its games upfront, e.g. get the Ocarina, Get Stronger, Defeat Ganondorf, Save the Princess/Hyrule. What they don’t give you are the implications on the history of the games, especially in relation to previous games, nor the actual motifs of each game, but leave the metaphors and allusions for the player to decipher. Motifs of acceptance of death (Majora’s Mask), acceptance of mistakes (Link Between Worlds) or acceptance of rebirth (Windwaker). Themes that could be easily told through word-play and monologing, but leave a deeper impression when players discover these themes for themselves, or leave openings for other interpretations because a direct motif isn’t spelled out for the player. With greater control of your actions comes more believable acting. It becomes easier to show subtleties of having mixed emotions in a scene in order to make them feel realistic. But having no dialogue still leaves a lot of interpretation up in the air, so this form of plot-delivery isn’t that common, especially post-PS1/N64 era games. Shadow of the Colossus got away with it because emotional conveyance was heavily influenced by the player, but games that employed this method more commonly was the Final Fantasy Series and other 3-D RPGs of the time. The FMVs were there to convey plot, being shot and portrayed like a scene from a movie, focusing on the action, panning to whatever needed immediate attention in the scene, but was normally book ended with scenes of heavy dialogue blocks so we understand the context around each FMV instead of having the FMV overtly explain the context and emotion of the actors in it. Maybe I should’ve put THE death scene in instead, but this scene was just so fun the first time through. I feel like this was probably the best way to convey these kind of games because voice acting in video games was not that good until relatively recently, and Square-Enix still doesn’t have a good handle on voice-acting, especially their English voice-actors. When there was no dialogue to the scenes, FMVs were only used to exemplify the action occurring in the scenes leading to these scenes feeling important and more memorable to the overall game. Cut to Final Fantasy XIII where FMVs are used for delivering even the simplest form of dialogue, from a script that looks like a set of encyclopedic tomes, and a lot of the dialogue will fall flat. It’s hard to give emotionally compelling dialogue in every scene when there is just so much dialogue required in the game; at least have some of it be unspoken and leave the dialogue requiring effect to employ vocals. 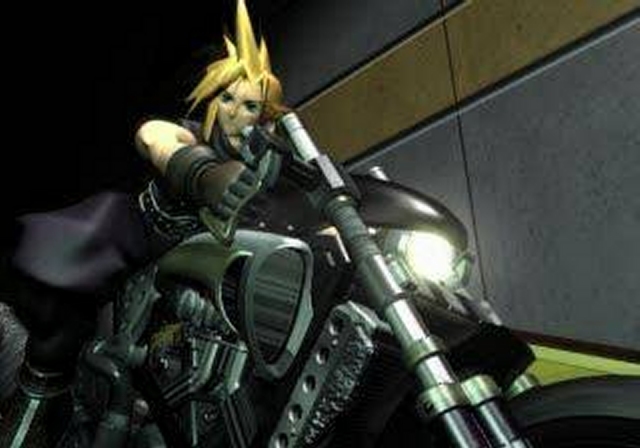 That being said, I feel that the games with an easier-to-swallow story come from the Final Fantasy’s that employed no vocal dialogue throughout the game and no-dialogue to break the pacing of its FMVs. I say this for the same reason that no-dialogue worked for Shadow of the Colossus. Give the player enough of the story to develop the characters of the game in how they want to see them. When vocal dialogue exists, it leaves only one interpretation of the dialogue, its emotions, and the character’s motivations. When vocal dialogue is absent, the interpretation of the dialogue is left up to the player’s assumptions of these characters, so having good writers to make them malleable makes them more believable to the player. Talking about Dialogue-Delivery next time, rather than the absence of it.